A lady of two countries, Hannelore Cogle, 74, of Independence, MO, passed away October 12, 2018. Services will be 1PM, Saturday, November 3, 2018 at Park Lawn Funeral Home, 8251 Hillcrest Rd. Hanne was born September 23, 1944 in Bensheim, Germany. She grew up in Hoechst near Frankfurt, Germany and lived with her parents until she moved to the United States in 1967 at the age of 23. She first lived in Evansville, Indiana and then moved to Kansas City. Her sister Ursula Bohrmann died in 1999 and her brother Norbert Sebel died in 2004. Her only living relatives still in Germany are her brother Kurt Sebel, of Obertshausen, Germany, a niece Brigitte (Harald) Sebel and nephew Oliver Sebel. Her family in the U.S. are Jim Shockey, Michele Shockey, twin sons John and Marvin and Sandra John and Cinda Cogle; three grandsons, John, Jr., Marvin, Jr., and Justin; granddaughter Ashley; four great grandchildren; and her nephew Norbert (Clifton Foster Sebel). Hanne was a devoted mother, grandmother, great grandmother and friend to all. She confronted life with a lot of energy, positive attitude and concern for others. She will be missed by her family and all who met her. Beautiful Hanne, my friend for 45 years, my inspiration to make the best of life, no matter what. 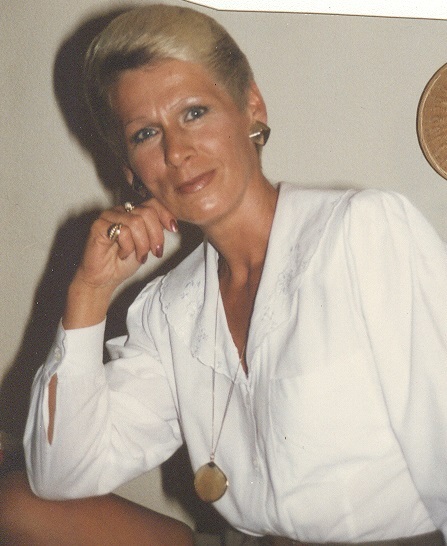 34 years I knew and Loved Hanne, every day with her was a good day, now I suffer every day without her, I miss her so much its a empty feeling. She made me a better person by being part of her life. Mom we all miss you so much and wish you were here every day that goes by I still wait for your dayily call to check on me to see if I'm alright. Mom R. I. P you was the best mom ever & you will never be forgotten. Dear family and loved ones, I was sorry to read about the death of Ms. Cogle. Please accept my sincere condolences for your loss. It has helped me and many others to know that the Bible promises that soon God “will swallow up death forever” (Isaiah 25:8) and that He will bring about a resurrection of our dear loved ones (John 5 : 28, 29) . May “the Father of tender mercies and the God of all comfort,” comfort you during your time of sadness (2 Corinthians 1: 3).